Have your special day at the most beautiful outdoor setting for that perfect southern outdoor wedding, the Shoals has to offer. We will work with you from start to finish to make sure your wedding is everything you dream. Business Meetings: Bluewater Creek is also available for business meetings. Imagine how productive your business team will be after a planning day or retreat outside in inspiring, motivating surroundings. Big screen TV available for PowerPoint presentations. Private Parties: Our new state-of-the-art pavilion is perfect for all private parties. We can accomodate a range of events from birthdays, anniversaries, reunions etc. The possibilities are endless! 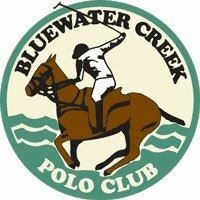 Equestrian Events: BWCP is complete with two fields for all equestrian events. Below are forms regarding related events held.